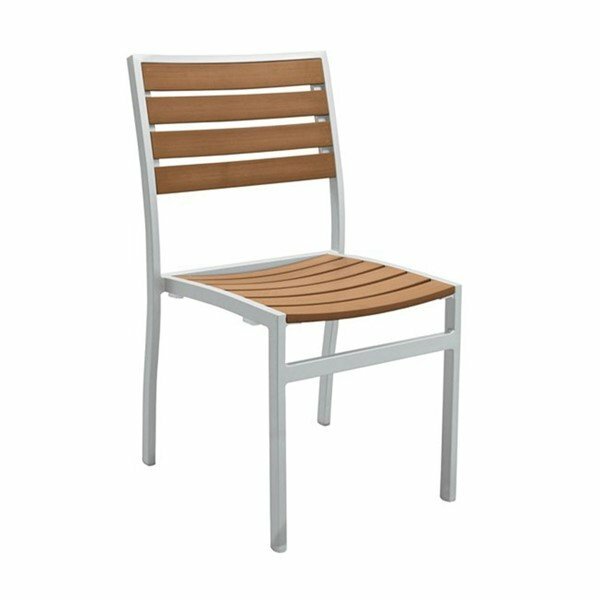 Jado Faux Wood Slat Side Chair with Powder-Coated Aluminum Frame by Tropitone - 10.5 lbs. 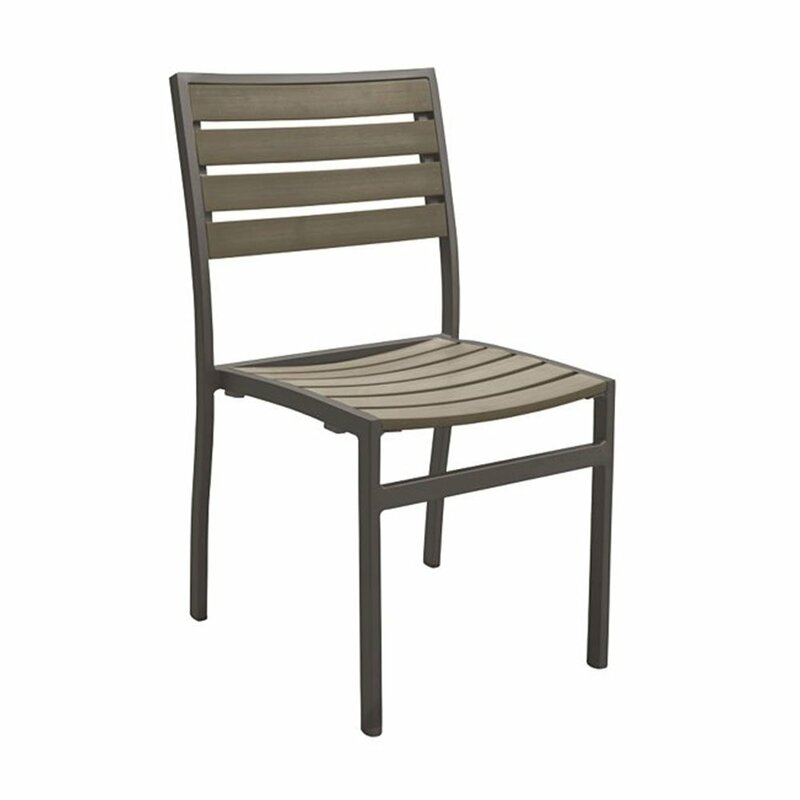 This Jado Faux Wood-Slat Side Chair with Powder-Coated Aluminum Frame by Tropitone combines a modern sleek look with ruggedness making it perfect for any hotel, resort or HOA community. Due to the powder-coated aluminum frames and unique rugged faux wood slats used for the back and seat, this chair can be used indoors and outdoors at your leisure. For easy storage convenience up to 6 Jado Faux Wood-Slat Side Chairs can be stacked atop another. 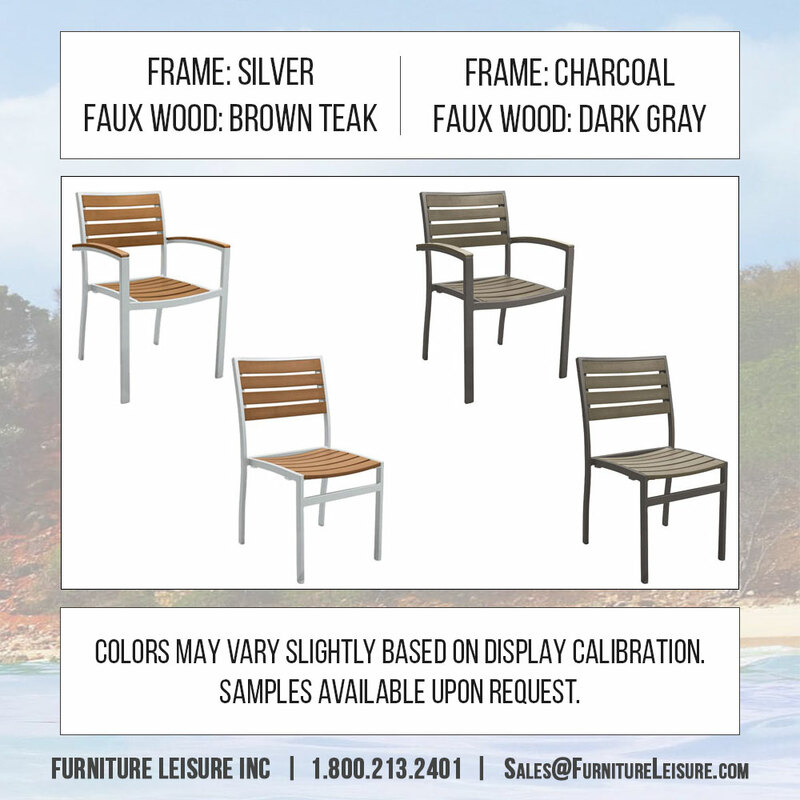 These chairs are available in 2 separate designer color schemes: A silver frame with brown teak slats or a charcoal frame with dark gray slats. A 5-year limited commercial warranty is included. • 33.5" H x 18.5" W x 23" D - 10.5 lbs.